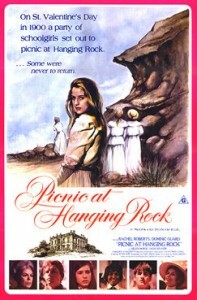 If you like movies with resolutions, Picnic at Hanging Rock is not for you. Students from a girls’ school, along with some chaperons, head to a local geological formation for a picnic. Three of the girls go missing, as does one of the teachers. An investigation happens. One of the girls is found. She doesn’t remember anything. 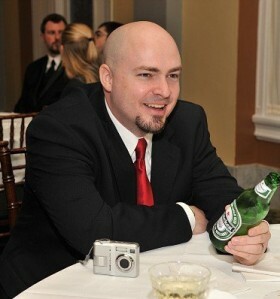 A school administrator dies. The end. This film is what you get when there isn’t a murderer with an ax stomping around killing the girls. Instead, you have the mysterious nature of an untamed land that no one fully understands simply whisking the ladies away. To what end? We’ll never know. Director Peter Weir perfectly captured the landscape of Hanging Rock, giving it a character, making it feel at times light and airy and other times like it is almost closing in around the people. Slowly closing in. The pace of the film is languid at best. And it never really delivers a moment of release where the mystery is solved or fates are learning. It hangs open at the end, telling you that no answer is ever going to come. And of course, the pan pipe music adds to the unsettling feel the film drips with. At the heart of Picnic at Hanging Rock is Australia itself. The image in most people’s minds, and not really too far from the truth, is an island with coastal cities surrounding an ancient Outback where things happen that cannot be explained. As I said at the top, if you require solutions to your films, don’t go near this one. But if you are okay with not knowing what happened, then Picnic at Hanging Rock is a delightful, eerie film to experience.